I love the constant changes of spring. These photos show a little falls at Vanderwater Park near my home and the seasonal creek that eventuially flows to the Moira River I'll add to these photos as the seasons change. March 13, 2013. 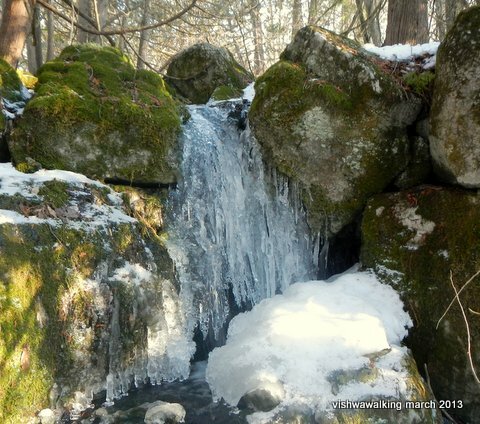 The temperature has been well above freezing for a few days. 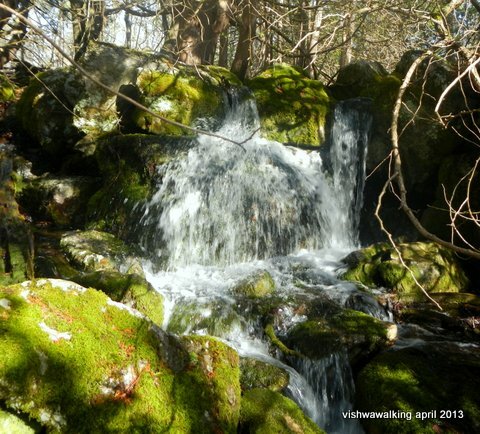 The little spring creeks are starting to flow and there's a lot of mossy green showing. It's still possible to walk on frozen ponds, but it's getting dicier. March 14, 2013. 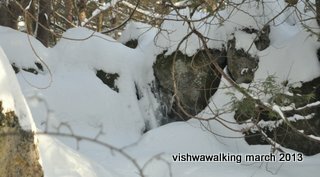 Compare with yesterday's photo and notice the cascade of ice crystals at the edge of the falls. Very beautiful. Tomorrow? Who knows. 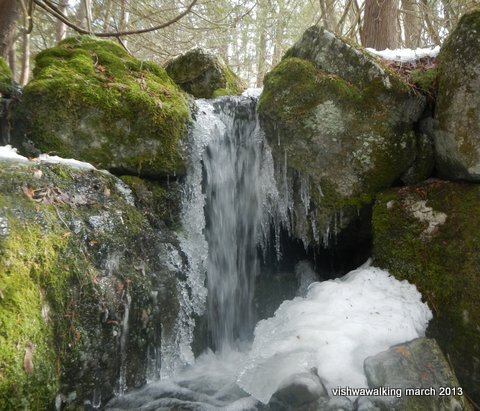 March 16, two days later with colder weather, there;'s a sheet of ice covering the falls. 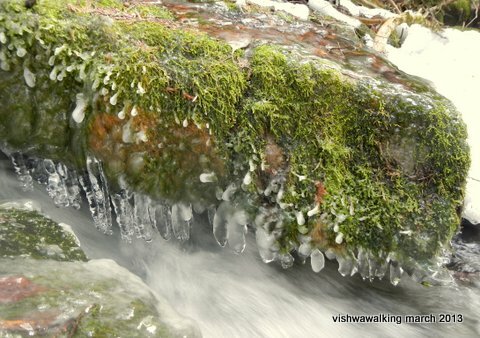 With the water flowing under it, the ice constantly changes hue. 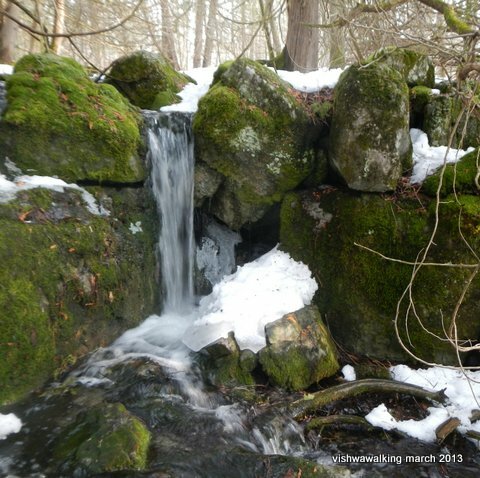 April 17, 2013: The water is flowing, with three separate streams (the smallest is off to the left out of the picture. This is the peak of it's glory.